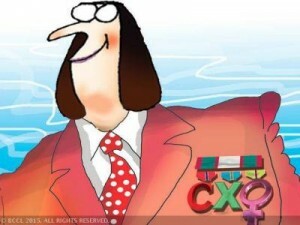 India Inc prefers to hire CEOs with global profile. CEO search firms have been increasingly getting a clear message from Indian companies as they break out of the home market go global, don't stay local. Vedanta group appointed Tom Albanese as CEO last year he had held that post at the Rio Tinto group. Recently, Vedanta appointed Ajay Dixit CEO of its power division. He used to be South Asia CEO for energy at Siemens.Rakesh Sarna (formerly with Hyatt Hotels) at Indian Hotels, Mayank Ashar (Suncor Energy, BP) at Cairn India, Vishal Sikka (SAP) at Infosys, Bharat Puri (MD) at Pidilite, Arvind Mathew (Ford Motor Co.) at Mahindra Reva and Subhanu Saxena (Novartis AG) at Cipla. People of Indian origin have something of an advantage because of cultural affinities that allow them to act as a bridge between old and new. Many of the Indian companies have in the last several years grown from a Rs 10,000 crore company to a $5 billion or $10 billion group and need bigger stature leaders. Indian companies are looking for global candidates with dynamic profiles and the ability to identify new growth opportunities and leverage global networks besides managing multiple regulatory environments. Indian conglomerates are seeking senior, experienced hands in their 50s or even close to retirement. What they're looking for are drive, hunger for fresh achievements and the ability to lead. Indian promoters are closely watching the performance of CEOs with a global mindset at organizations that have hired them. Infosys CEO Vishal Sikka is an executive board member of Germany's SAP, to be its first non-founder CEO. Subhanu Saxena, CEO, Cipla having worked with companies such as Citicorp, The Boston Consulting Group, and PepsiCo, across markets in Europe, North America, Africa and Asia.